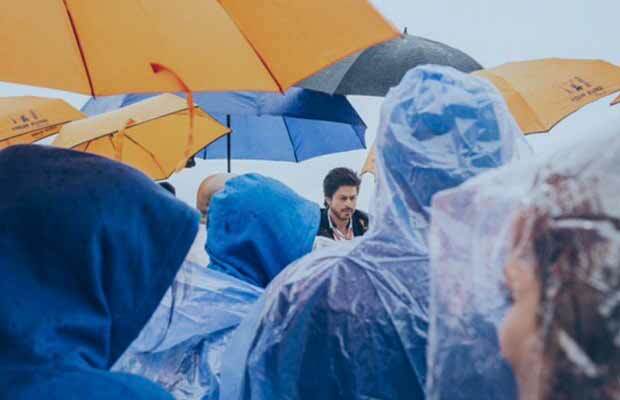 Shah Rukh Khan has shared a still and the lyrics of a rain song from his upcoming film Jab Harry Met Sejal. The Bollywood actor Shah Rukh Khan is going to appear on the screens with the actress Anushka Sharma. After ‘Rab Ne Bana Di Jodi’ and ‘Jab Tak Hai Jaan’, it will the third time that the two of them will be seen sharing screen spaces. Three mini trails of the film have already been out. Also, the first song ‘Radha’ which is a peppy number is being loved by the audience. And now SRK himself has shared a part of the lyrics of another song from his film. Directed by Imtiaz Ali, the film is going to hit the theatres on August 4, this year. Next articleShocking! Bharti Singh Refuses To Shoot With Kapil Sharma?